Michael Miksis, professor of engineering sciences and applied mathematics and of mechanical engineering at the McCormick School of Engineering and Applied Science, will take part this spring in a new sabbatical program at Argonne National Laboratory designed to enhance collaboration between the two institutions. The Northwestern-Argonne Institute Mini-Sabbatical Program will enable Northwestern professors to spend an academic quarter at the national lab, collaborating with scientists there to advance research for both institutions. Miksis is an expert in theoretical and computational fluid dynamics, materials science, and biology. His recent research is focused on developing analytical and numerical models to better understand lyopreservation, a technique for preserving cells by drying them, and the effects of electrical fields on cell dynamics, with possible applications in drug delivery and gene therapy. Collaborating with Argonne’s high-performance computing experts will enable Miksis to apply new computational methods to his research. For example, he plans to extend his current models and computational approaches to more realistic models of the cell, thereby requiring more advanced numerical algorithms and more efficient computer implementation. “This is an exciting opportunity to broaden my research, and also to develop new areas of collaboration between Northwestern and Argonne,” Miksis said. 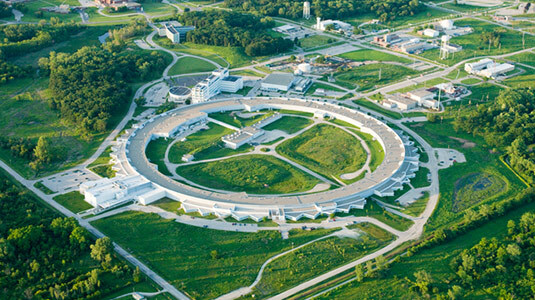 Located about 40 miles from Northwestern’s Evanston campus, Argonne is one of the nation’s oldest and largest science research centers and home to some of the most high-tech facilities in the world. More than 40 McCormick professors are involved with projects at the lab. Faculty who are accepted into the mini-sabbatical program will be relieved of teaching for the 10-week quarter to focus on research, but will continue to advise students and sit on committees at the University. The program is offered through the Northwestern-Argonne Institute for Science and Engineering, McCormick School of Engineering and Applied Science, Weinberg College of Arts and Sciences, and Argonne National Laboratory. The Northwestern-Argonne Institute for Science and Engineering, established in 2011, brings together top scientists and engineers to collaboratively attack key problems in energy, nanoscience, and advanced scientific computing. The institute is co-directed by Peter Voorhees, Frank C. Engelhart Professor of Materials Science and Engineering and of Engineering Sciences and Applied Mathematics at Northwestern, and Pete Beckman at Argonne National Laboratory.